When looking to hire an adviser to manage a company retirement plan, it’s important to know what you are looking for. A well managed plan will enhance employee morale and increase financial security for the entire staff. The demands of a busy work schedule too often crowd out the time and attention required to ensure that retirement plan providers are working as efficiently as possible. Rather than taking time and care to identify the best partner to implement a retirement plan, the responsibility is often entrusted to someone with a long-standing personal relationship to the executive team without an objective assessment of their qualifications for the job. Business owners and other executives who oversee retirement benefits are charged as fiduciaries under the Employee Retirement Income Security Act (ERISA) that governs retirement plans. ERISA requires these trustees to act as a “prudent man,” which can be likened to a mash up of the golden rule combined with the attention to detail of a German engineer. In addition to acting on best behavior, ERISA obligates the plan sponsor to seek expert advice whenever delegation would offer a better result. Hiring an ideal retirement plan adviser is an important first step to create a best-in-class retirement benefit and discretion is needed to ensure you choose wisely. The CFP Board recently released a hilarious ad reminding investors that you should look for more than an eloquent and well-dressed professional when identifying a financial adviser. The first quality to look for in a retirement plan adviser is expertise. 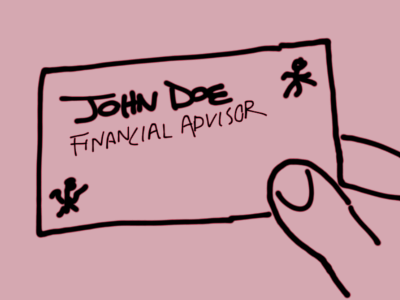 Too many financial advisers act as jack-of-all-trades and master of none. If the same financial professional who sold you a life insurance policy also offers to run your retirement plan, I suggest you decline. The regulations to maintain a compliant retirement plan are ever changing. You want an expert to help guide you in the process. Second, you want your adviser to have a legal obligation to act in the best interest of the plan. Seeking a fiduciary adviser eliminates all the sales scabs who help set up a new plan but rarely are seen after their large commission has been paid. In contrast, fiduciary advisers charge a reasonable and transparent fee for their service. They usually get paid a stable fee and so their incentive to return your phone calls in year two is as high as it is when the plan is just being established. Our firm decided to become a 3(38) investment manager because playing this role offers our clients administrative relief. By taking on the role of a 3(38) adviser, we accept responsibility for selecting a prudent investment strategy. Advisers who do not name themselves 3(38) investment managers must seek the approval of an organizational investment committee every time an investment allocation needs to be adjusted or replaced. Thus it’s nearly impossible to maintain a fiduciary relationship and a dynamic investment approach without hiring a 3(38) investment manager. However, a plan sponsor never relieves all of its own fiduciary liability. Even when an organization hires a 3(38) adviser, its trustees retain responsibility to regularly review the performance of all consultants to the plan. If your retirement plan is in need of review, find an expert 3(38) adviser today.